Five years ago, Akira and his Hitokage witnessed a Lizardon Mega Evolve into something that looked like a black dragon. Now the young boy is determined to find out how to turn his Lizardon into that black dragon he saw in order to enter it into the Ryuu-Oh Tournament. Akira's Lizardon's moveset constantly changes as the story progresses. The attacks we see it use are Flamethrower, Daimonji, Will-O-Wisp, Fly, Solar Beam (Chapter Two), Dragon Claw (Chapter Three), Flare Drive, and Swords Dance (Chapter Four). Kohji is a young boy whose goal is to become the strongest dragon user in the world. He picked up a bracelet known as a "Mega Ring" off the street one day and later was able to use it to turn his Gablias into a Mega Gablias. He later enters the Ryuu-Oh Tournament. Kohji's Gablias' known moves are Draco Meteor, Dragon Claw, Dig, and Fly. 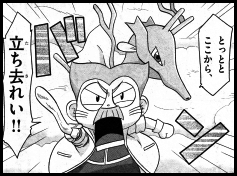 A note in the graphic novel collection states that Kohji's pokemon has the same moveset as the special Gablias that was distributed in the December 2013 issue of CoroCoro Comics but this isn't true; the CoroCoro Gablias knows Crunch instead of Fly. 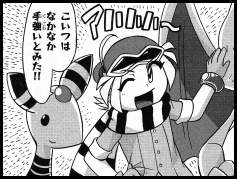 Taichi is a young Denryuu Trainer who meets Akira at the Ryuu-Oh Tournament. 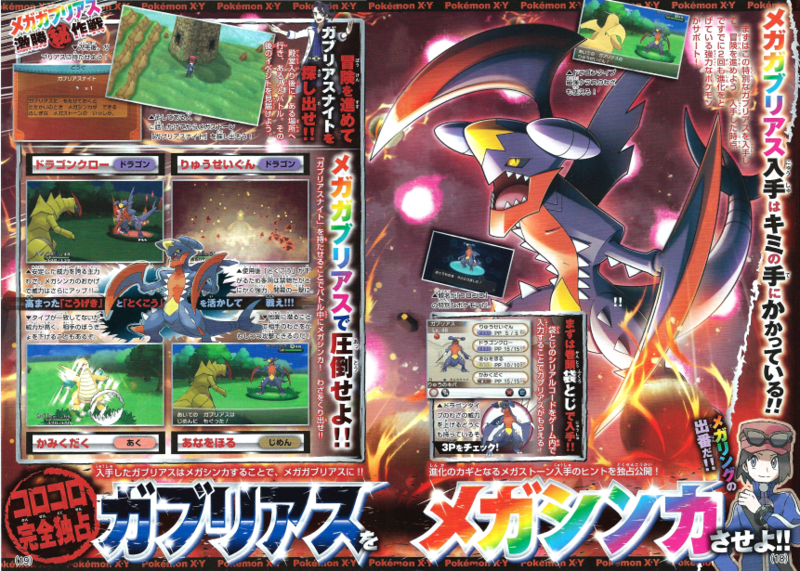 Like Akira, he too has a pokemon who is able to Mega Evolve into a Dragon-Type. 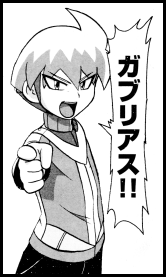 Mega Denryuu knows Dragon Pulse and Cotton Guard. When it's not Mega Evolved, Denryuu has the Ability "Static." Later, the same old man comes across Akira as he wanders around the Valley of Dragons in search of the secrets to the black dragon Lizardon. He eventually guides him to the Black Lizardonite, enabling him to turn his pokemon into a Dragon-Type and enter the Ryuu-Oh Tournament. The old man's Kingdra knows Waterfull Climb, Twister, Rain Dance, and Hydro Pump. Kunio is a quirky old man who first appears in a crowd that had gathered around Akira and the Trainers who were bullying him. He becomes impressed with the young boy's battling skills and tells him that the secrets of the black Lizardon that he wants to learn so much can be found in the Valley of Dragons. 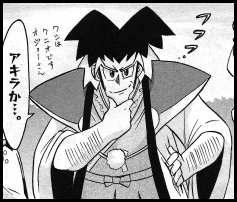 Later, it is revealed that Kunio is the man responsible for the Ryuu-Oh Tournament! In addition it looks like he's friends with the old man who helped both Kohji and Akira Mega Evolve their pokemon? Kanna is Akira's older sister. At first she worries about her brother running off to the Valley of Dragons to find out the secrets of the black Lizardon, believing that such an adventure is too dangerous, but she eventually agrees to let him go. She gives him a map to the colosseum where the Ryuu-Oh Tournament is being held. Later, she is seen in the audience of the tournament, cheering her little brother on. Kanna wears a bandana that looks a lot like Maa'iika's head. This Bossgodora trainer has somehow found out that Kohji possesses a Mega Ring and wants to use it to turn his Bossgodora into a Mega Bossgodora. He is soon defeated when Kohji's Gablias transforms into Mega Gablias. Bossgodora's known moves are Bulldoze and Rock Slide.